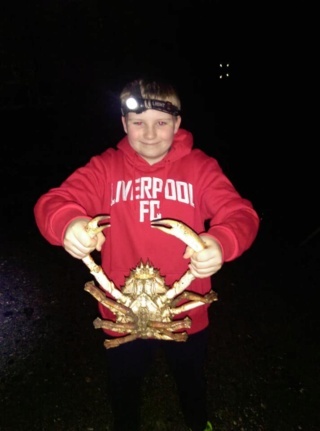 Are you boys getting sport with schoolies like us on Merseyside ? Two of the lads fished Formby yesterday and had 19 between them while another couple have been getting them at Caldy,which is not a renowned bass mark...seems to be plenty about. Giving my search for that 5lb fish a rest next weekend,as i have`nt fished a rock for a while...huss n rays on the cards. Still quite a few schoolies coming out on most of the local marks with the odd better fish, I`ve seen a six and a half from Pensarn and pictures of a 5 pound from Splash Point at low water. I wonder what species they are eating that's bringing them in? Mind you,it might be all the ones Logger has chucked back in that he's not letting on about.